Whoa! Is That Kenny G? 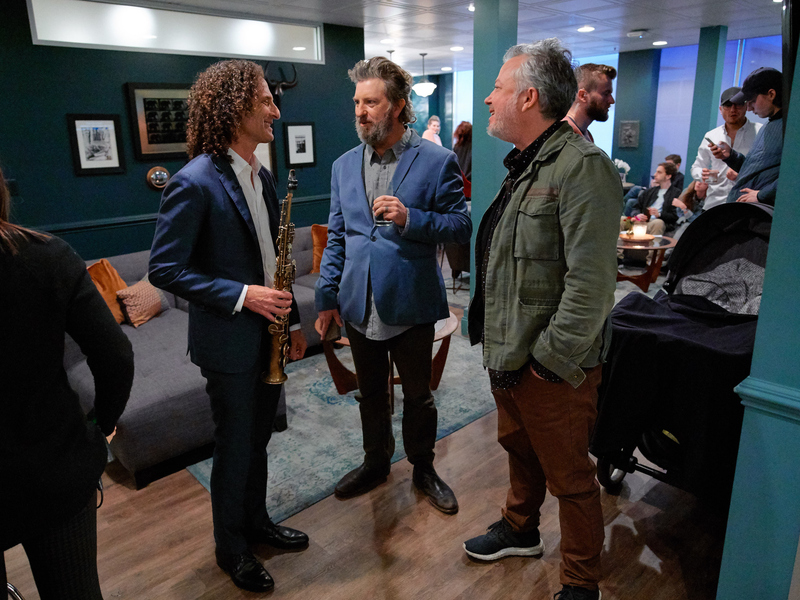 Late Late Show band guitarist Tim Young (center) and keyboardist Steve Scalfati (right) ask Kenny G what the secret is to keeping his hair so lush.